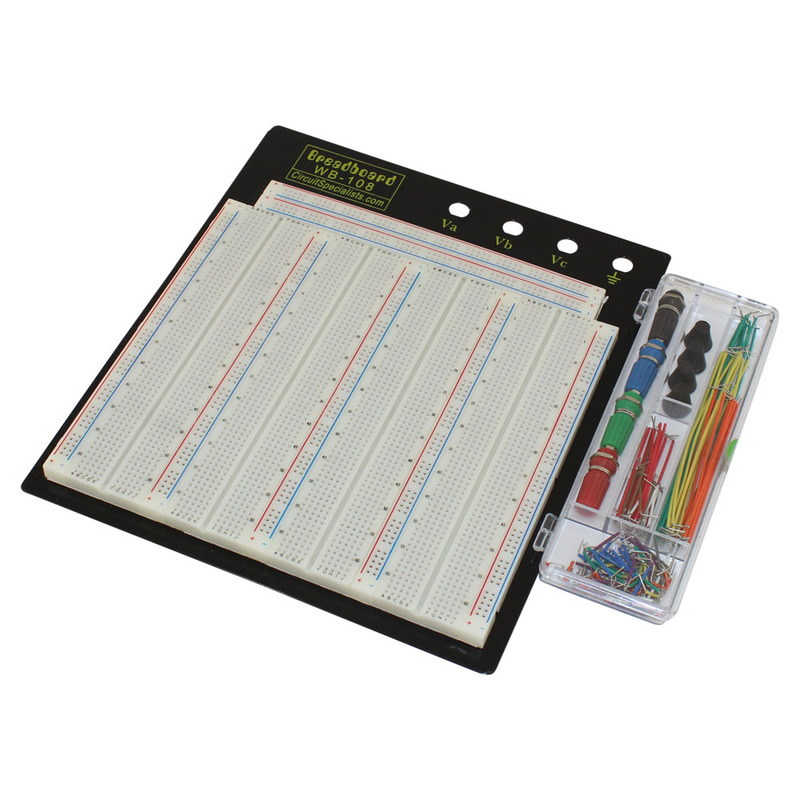 With more than 3,200 separate contact points and color coordinated for easy component placement, our WB-108 prototyping breadboard is a great hands on way to learn circuit design. 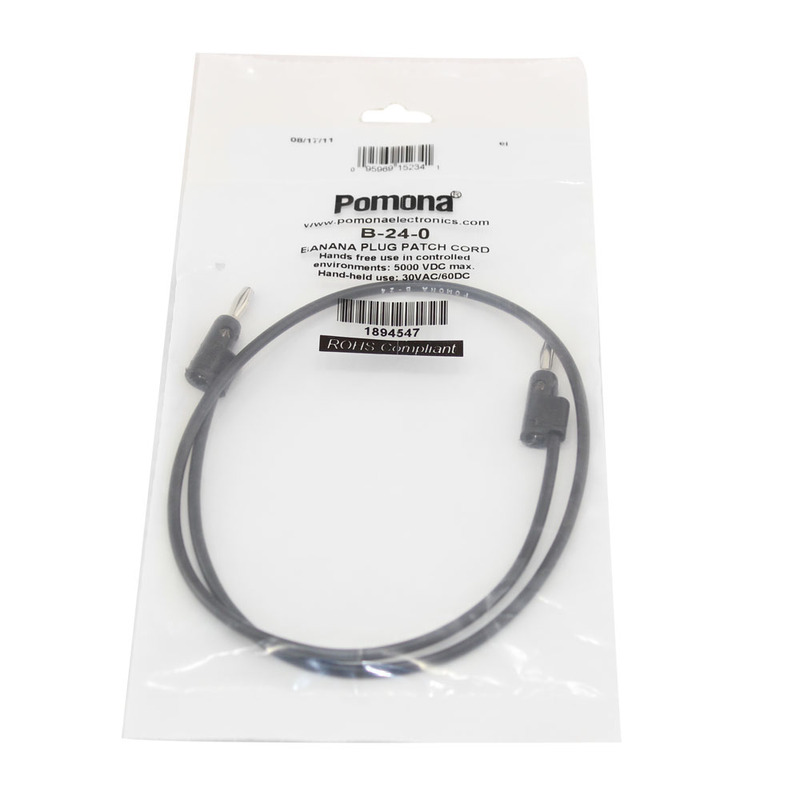 It features built in bus strips for power distribution and has an integrated aluminum ground plane. 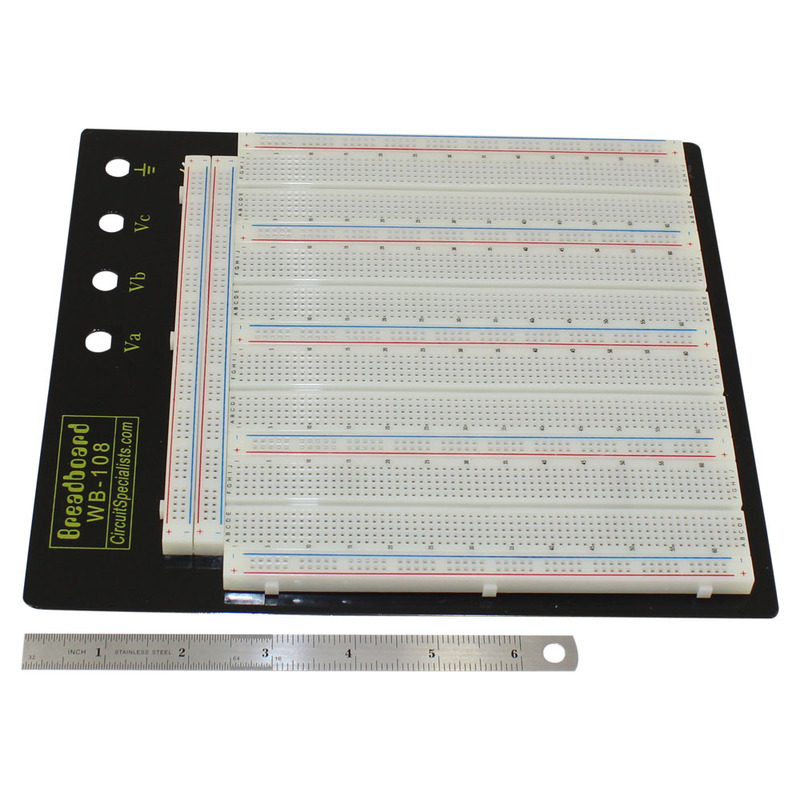 The WB-108+J Breadboard Kit is similar to the WB-102, however, it's much larger with an area of 7.25" x 7.5". 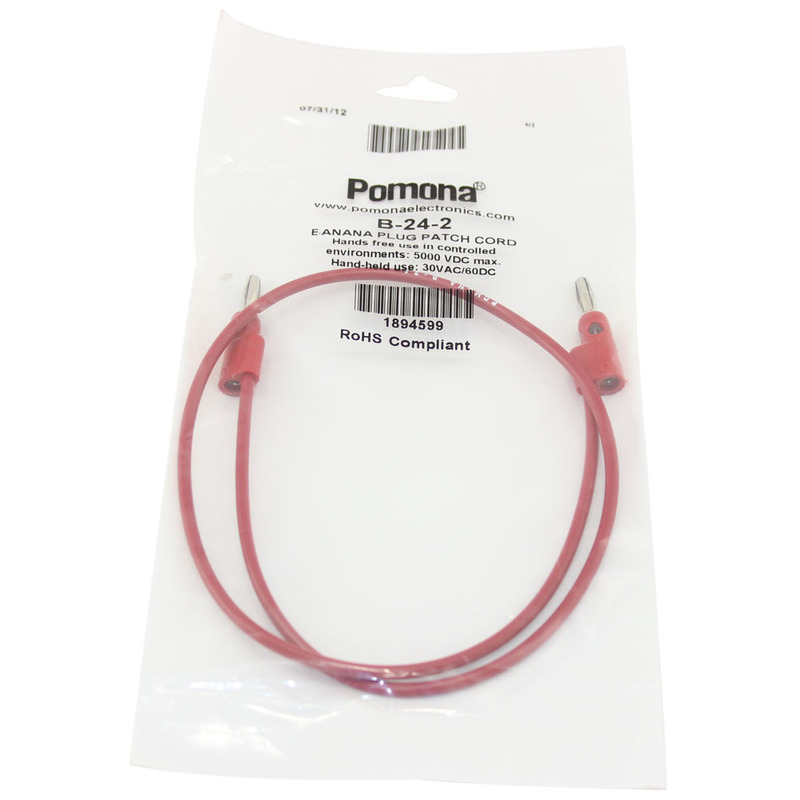 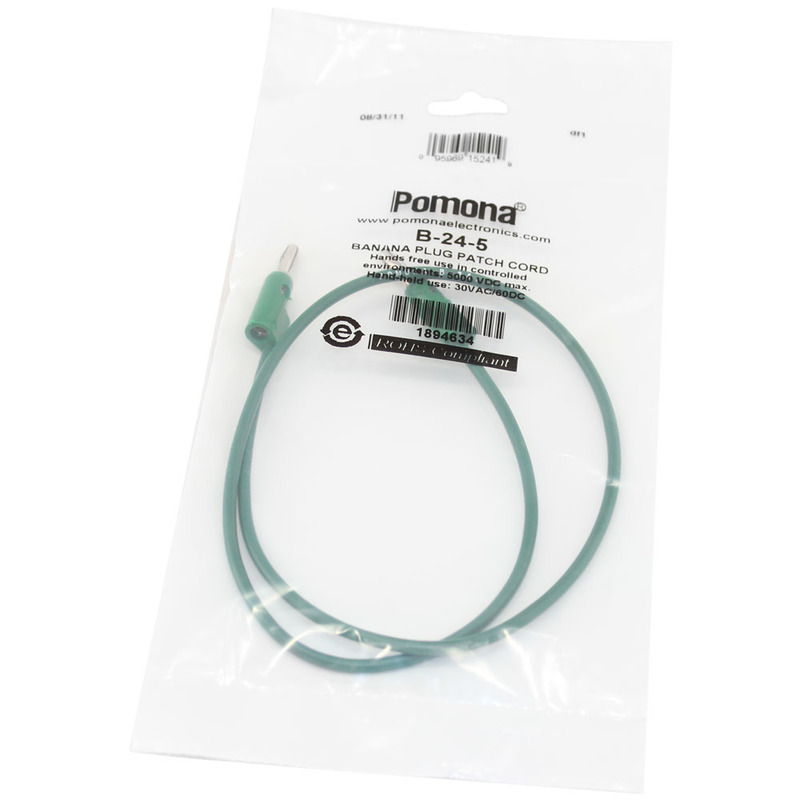 The included wire jumpers are precut and preformed with stripped ends, so they are ready to use. 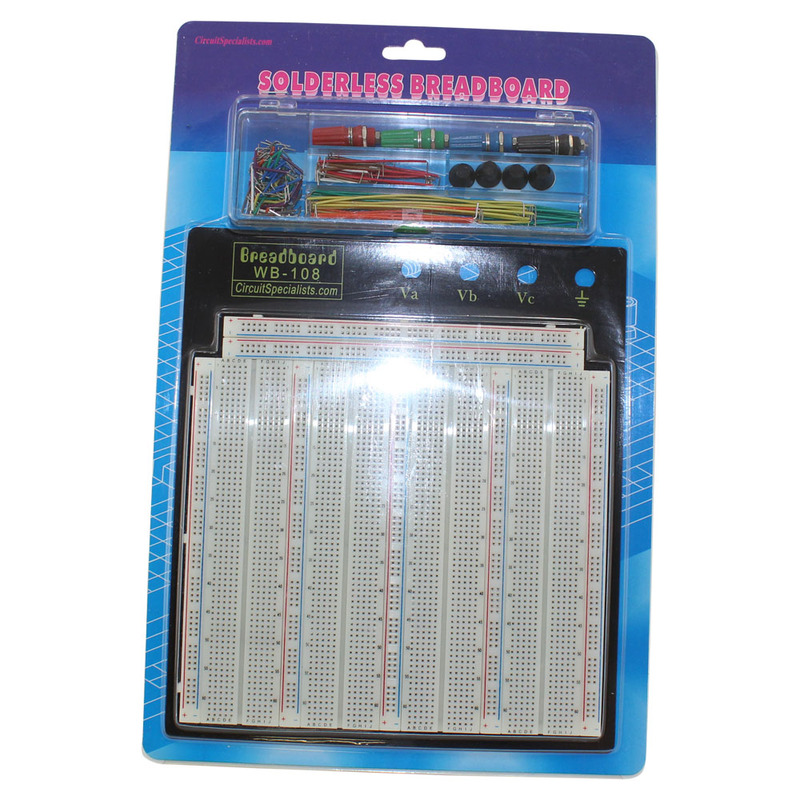 The WB-108+J breadboard kit is a very popular item for hobbyists and students of all skill levels for prototyping and educational use. 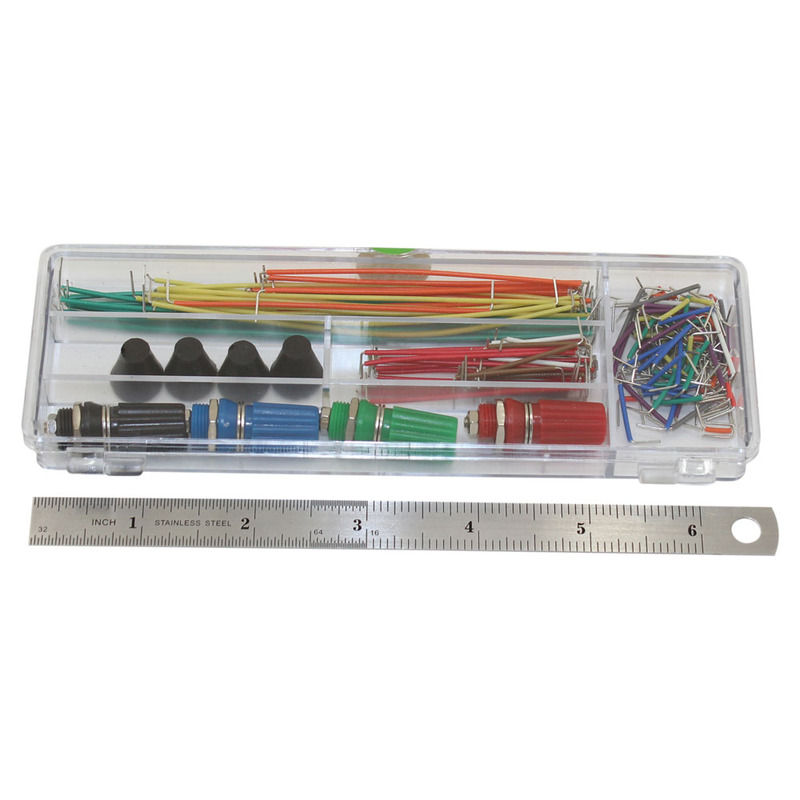 Pick up a few tips on the best wire or jumpers for breadboarding. 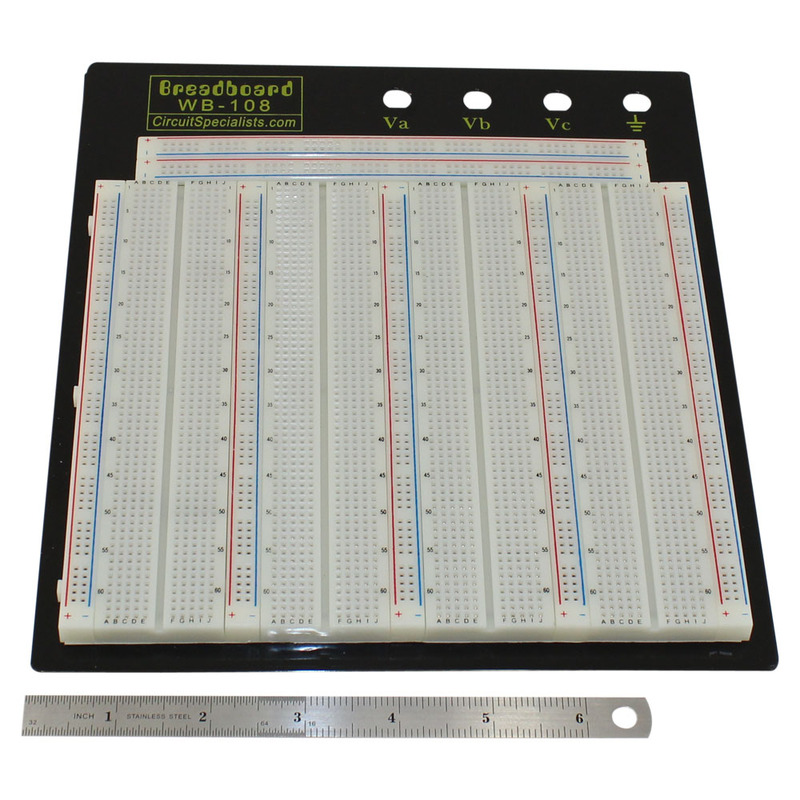 Learn a thing or two about working with breadboard kits for prototyping.